Starting any business can be a long journey, but it can be very rewarding if done right. This is especially true when it comes to starting a membership, or subscription based business. Unlike other businesses, running one that relies on members, or subscribers, is a whole different kind of animal. There are a couple things that make these types of businesses unique. First, while traditional productized businesses sell a product or service once, they have to keep selling that product to new customers in order to keep making a profit. Not so with membership or subscription businesses, where the “product” results in regular monthly (or annual) income for a seemingly unlimited period of time. Second, keeping your subscription product, or service, up to date (and customers happy) on a consistent basis takes more effort than a standalone product, which you only sell once and then forget about unless trouble arises. This means that you can’t be of the mindset of selling and forgetting – you’ll have to constantly be on your toes with content that benefits your members. Owning a membership or subscription business is no easy feat and there are many things to consider before jumping into the mix. Basically, the good parts of running a membership business come down to recurring profits and instant brand loyalty. If you manage both of those things properly, you can run a successful business for years. But that’s also the challenge: managing your members (and the benefits you’re giving them) over the long haul. So, what does it really take to make sure your members stay happy for years to come? The biggest thing you need to remember is that your ultimate goal is to make your customers happy and successful. If your customers aren’t happy and successful, you’re not happy and successful. This is different than selling a one-off product, which a few customers may struggle with, or end up not using/returning. In those businesses, as long as you keep selling new products it doesn’t really matter how many people stop using it. But with membership businesses, retention is a big deal. The more members you lose out the back, the lower your profits will be no matter how many new members are coming in the front. Making sure members stick around is also about providing them a good reason to stay and selling them once isn’t enough. You’ll have to sell them every single month. This means providing them with fresh content and support on a long-term basis. You’ll have to build real relationships with these people, so make sure you’re actually engaging and interacting with them on a consistent basis. Chances are, if you’re running off of a good model, your business will grow. While that’s the ultimate goal, you’ll also need a plan in place to incorporate new members without overlooking your long-time members. You’ll also need to make sure your content doesn’t get lost on your website. For example, if you create one seminar a month for your customers, after the first year you’ll have 12 seminars. That doesn’t seem so bad at first, but give it a few years, and suddenly you’ll be struggling to help members navigate through your maze of website trying to find the content they’re looking for. A big part of success is creating strategies for easy content organization and access as your business grows. 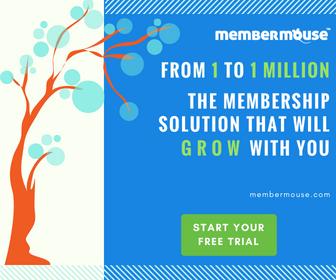 Because your membership is made up of real people and not robots, your membership won’t look the same over time, because people (and their needs) tend to grow and shift as the years pass. This means that what you offer needs to grow and shift along with them. If you’re still offering the same courses and content in year 3 or 4 that you were offering the very first year, that’s a problem. Don’t be afraid to ask members what they want as they continue to face new challenges in their respective industries. As long as you’re flexible with your strategies, you don’t mind creating new and engaging content, and you’re able to treat your business as something living and active, you’ll do great.